Hello there, fashionistas! Welcome back to the VIP blog on this wonderful day! 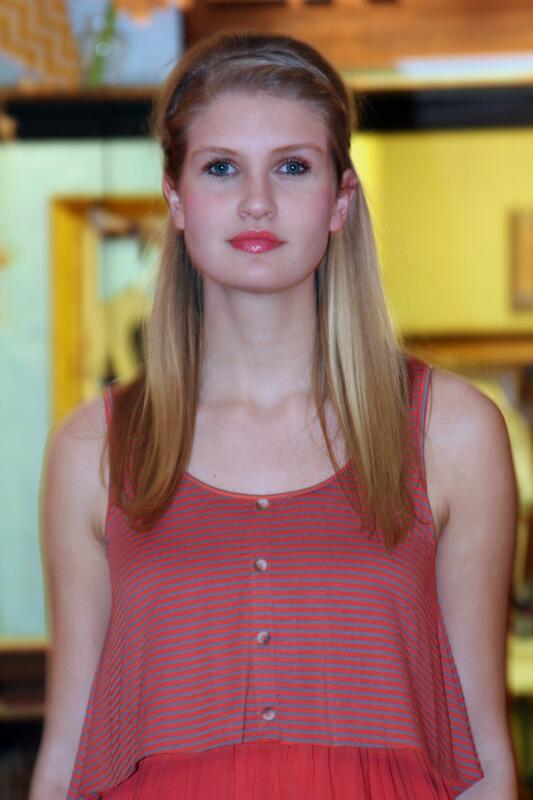 I recently attended the LA Green Boutique Spring Fashion Show in Starkville, Mississippi. It was ever so adorable! 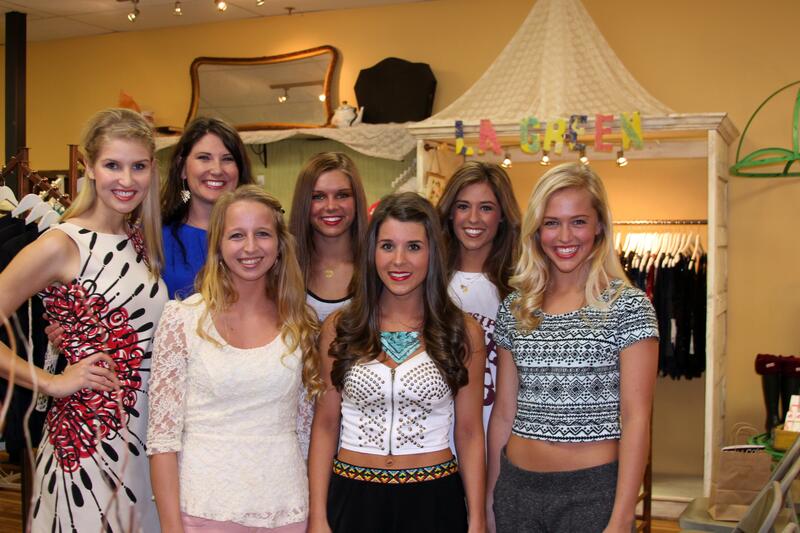 What a fabulous way to show off the boutique’s new apparel! The “swag bags” at the fashion show were filled with all kinds of goodies! A copy of the latest issue of Town and Gown Magazine, a coupon for buy one get one free VersaSpa treatment at World Color tanning salon, a 25% off coupon for any one item at Aspen Bay, 15% off any one item at LA Green, a $10 off any three month package at Midtown Pilates, and 15% off at Vitality Skin & Spa! Oo la la, time to get pampered! The VIP ADORES floral shorts paired with a complementary hued blazer! Absolutely perfect for the temperamental spring weather in the South! 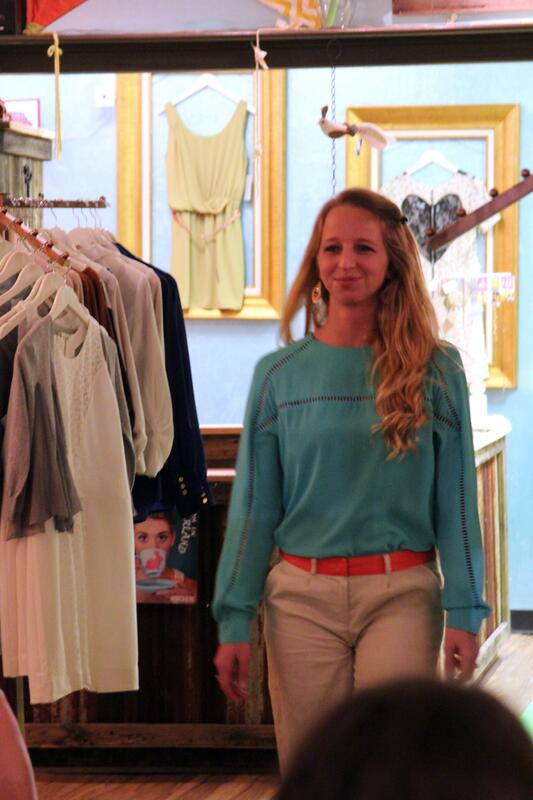 Don’t you just love coral accents on neutral pants! What a luscious look! I totally need these terrific trousers in my wardrobe! A super cute peplum top with a pinch of gold at the waist is the perfect way to celebrate the warm weather in complete style! I am totally obsessed with coral for spring! It is such a subtle bright that brings a smile to everyone’s face. Fabulous, fabulous, fabulous! That is all I can say about this amazing ensemble from LA Green Boutique! 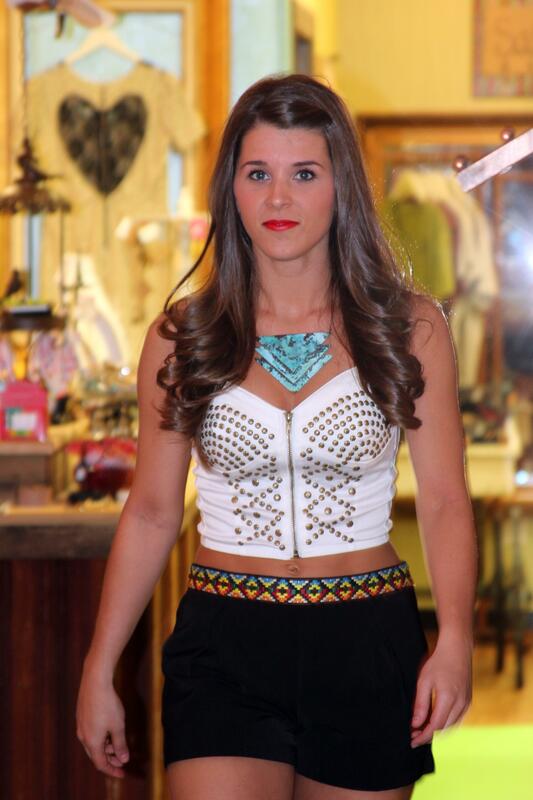 The VIP is infatuated with a spectacular statement necklace paired and with a white embellished top! 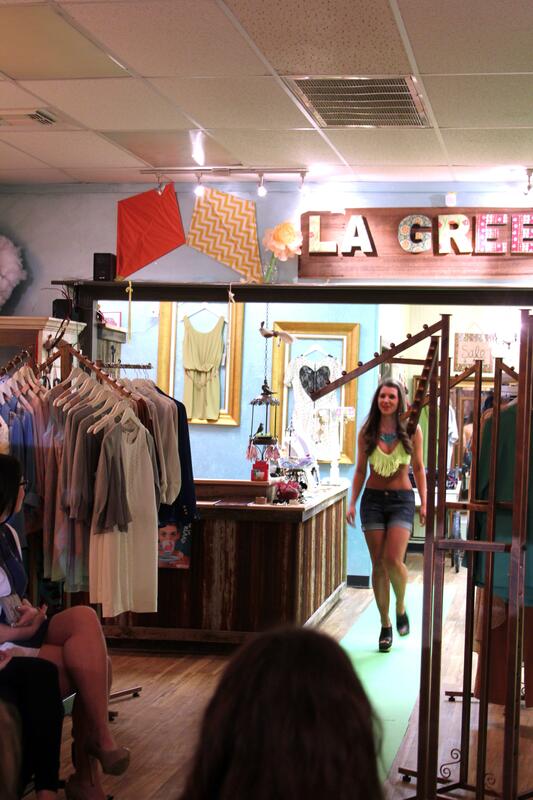 Attending the LA Green Boutique Spring Fashion Show has me ready for Spring Break! All the vibrant hues, sweet silhouettes, and exciting embellishments are simply divine! 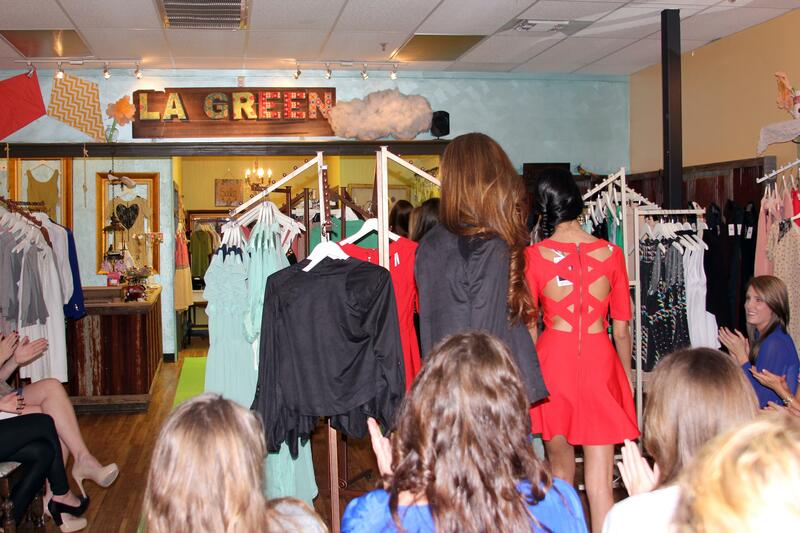 I loved every outfit that walked down the runway….I must have everything at LA Green Boutique! Oh, my! 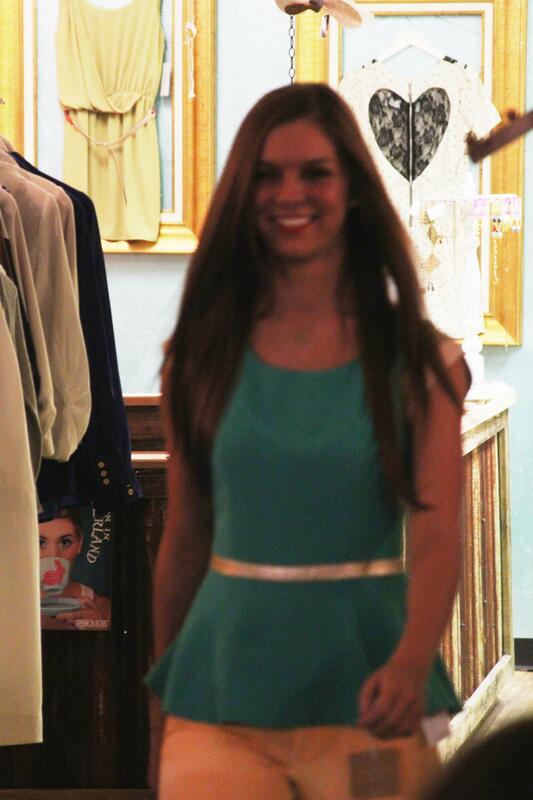 Seeing all these spring fashions is getting me so super pumped for Birmingham Fashion Week, February 23-March 2! It is going to be such fun and filled with fabulous fashions! You can keep up with BFW events @ https://www.facebook.com/bhamfashionweek?fref=ts! If you are interested in tickets to Birmingham Fashion Week, you can purchase tickets and view the schedule of events @ www.bhamfashionweek.com! I hope to see many of my rad readers there! 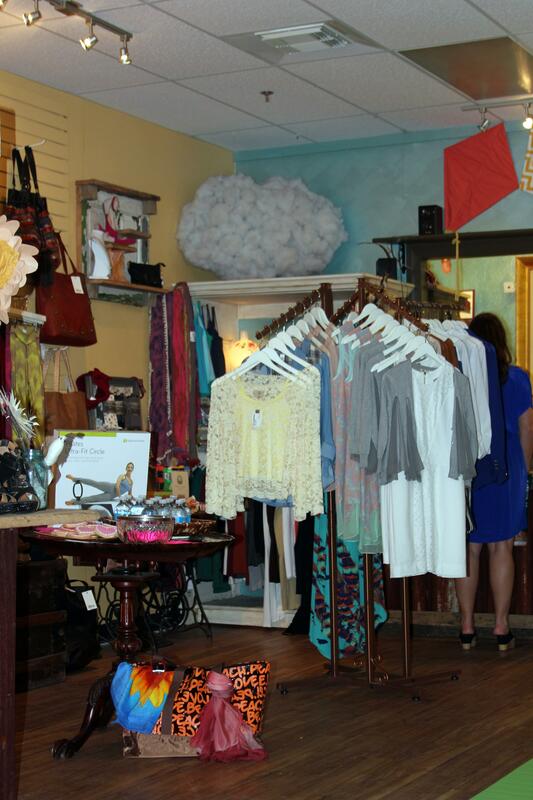 LA Green is one of my fave boutiques in Starkville. :) I’m loving the coral, just did my blog redesign and coral was the color i went with. Looks like that was a wise decision! LA Green is amazing! And love the coral color on your blog-SPECTACULAR decision:) you’re fabulous!